Eating healthy food is the most important thing in our lives than anything else, because if we are healthy, then we can do hard work and earn as much as we want. So always while buying Grocery for our family and while Cooking in the the Kitchen our focus should be to Cook Healthy and of course Eat Healthy. 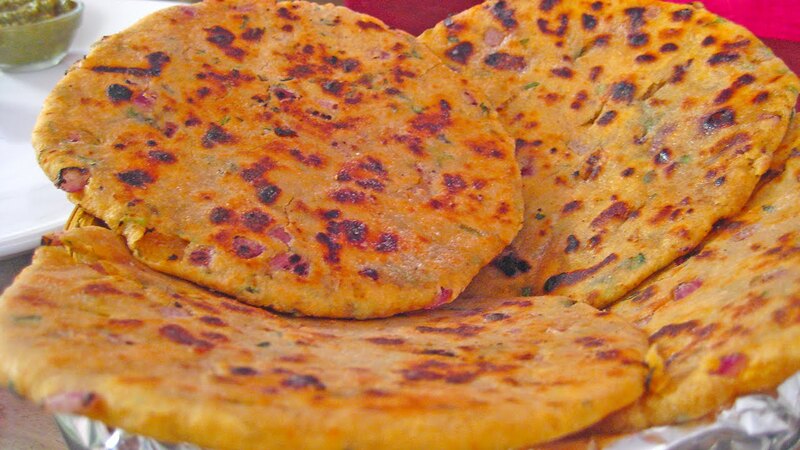 Here we’re talking about Missi Roti Recipe, because it is more tasty and Healthy than regular Plain Chapati. If you’re a lover of Roti, then try once Missi Roti and you’ll forget Simple plain Roti forever, because it is not only Easy to Make, but also very Healthy and delicious at the same time. Mix everything together; Wheat flour, Corn flour, Chopped Onion, Chopped Methi and Spinach leaves, Salt, Carom Seeds, Oregano leaves, Jeera powder, Coriander powder, Black Pepper. Missi Roti is Ready to be served hot with Yogurt, Mango Pickle, Lemon Pickle, Mint Chutney or any Cooked Vegetable.